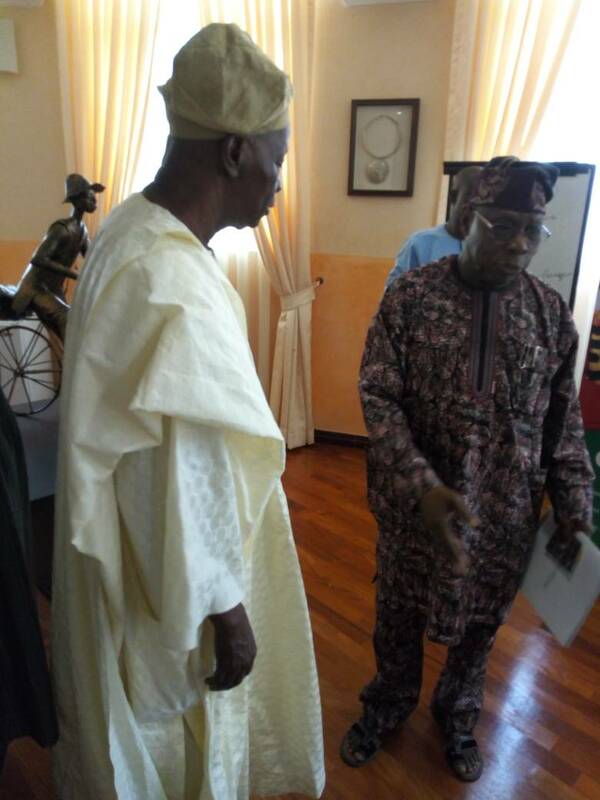 Chairman of the Social Democratic Party (SDP), Chief Olu Falae, on Tuesday visited former President Olusegun Obasanjo in Abeokuta, Ogun State, to discuss affairs of the nation and the 2019 general elections. The meeting, which held behind closed doors at the Olusegun Obasanjo Presidential Library (OOPL), lasted for about two hours. Falae, who addressed newsmen after the meeting, dismissed rumours that he had gone to consult with Obasanjo over his (Falae) presidential ambition. “The affairs of Nigeria are greater than the political ambition of anybody. “I am here to exchange views with Baba Obasanjo on the affairs of Nigeria. “Once upon a time, between 1977 and 1979, I worked with him when he was the Military Head of State as a Permanent Secretary. “We did many things in those days to advance the cause of Nigeria. “The way things are in Nigeria now, I feel the need to exchange views with him towards the progress of Nigeria,’’ he said. The SDP chieftain said he was sure that many right-thinking Nigerians would see “the need for all of us to work together to ensure that there is a good, beneficial, peaceful and progressive change in Nigeria’’. Falae described President Muhammadu Buhari as a friend, recalling his support for him (Buhari) during the 2011 polls. Falae then was a member of the Alliance for Democracy. Along with Action Congress of Nigeria and other opposition parties, the parties entered discussions with Buhari’s Congress for Progressive Change to form a mega party to defeat the Peoples Democratic Party. The alliance did not work. Falae said Buhari remained his friend, but registered his displeasure over his administration’s failure to restructure Nigeria and to deliver on his campaign promises. In 2015, Falae did not support Buhari’s presidential ambition as his Social Democratic Party supported Goodluck Jonathan and the Peoples Democratic Party. The SDP received N100 million from the PDP as logistics fund for the support.